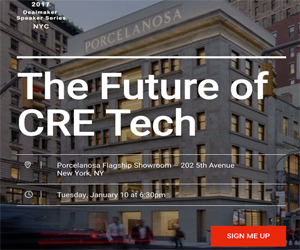 As mobile-ready websites become increasingly important on the real estate scene, CRE professionals are looking for ways to meet that need with efficiency. Silk, a brand-new service, is meeting that need by giving real estate professionals the ability to build beautiful, mobile-ready brochure websites. Moreover, it can be done using a simple spreadsheet and in only a few minutes. As an online data report builder, Silk allows users to convert the data contained in a spreadsheet into an eye-catching brochure website complete with images, videos, and charts. Silk can even integrate maps, a feature that is especially beneficial for the commercial real estate industry. Additionally, Silk can be used as a handy collaboration tool. For instance, Silk makes it possible to create private websites that can only be accessed by clients. The new tool even allows users to place their newly built sites on their own domains. It's a great way to generate monthly or quarterly updates for clients and key stakeholders. There are no limitations regarding updates. Users can update the data contained on their website whenever they would like. Silk even makes it possible to update data by uploading a new spreadsheet or manually. In an age in which real estate professionals are all scrambling to get ahead of the competition, Silk is ideal for companies of all sizes. It could prove to be particularly beneficial for small companies interested in DIY marketing, as it allows the creation of beautifully professional results without the need to spend a lot of money on outsourcing marketing. Brochures have always served as an effective form of marketing and communication. As the world has gone increasingly mobile, it has become more important than ever for real estate professionals to take their brochures online. Unfortunately, the ability to do so has often been complex and expensive in the past. Now, Silk is providing an inexpensive and easy-to-use solution to that problem. A number of things occur when a prospective client views a brochure. On the surface, the prospect is able to view the details of the available offer. On a subconscious level, clients are also able to analyze details that may be less apparent, including phrasing, color, layout, and more. If your offer is sufficiently appealing to spark interest in your client, the next likely step is for the client to request additional information or even make the decision to make a purchase. Brochures are ideally suited for conveying elements to clients that simply cannot be communicated any other way. When prepared properly, a brochure can help instill a sense of professionalism and confidence in clients simply by the amount of effort and time spent in having the brochure designed and produced. Ultimately, it all comes down to perception, and this is an area where Silk helps level the playing the field for real estate professionals.